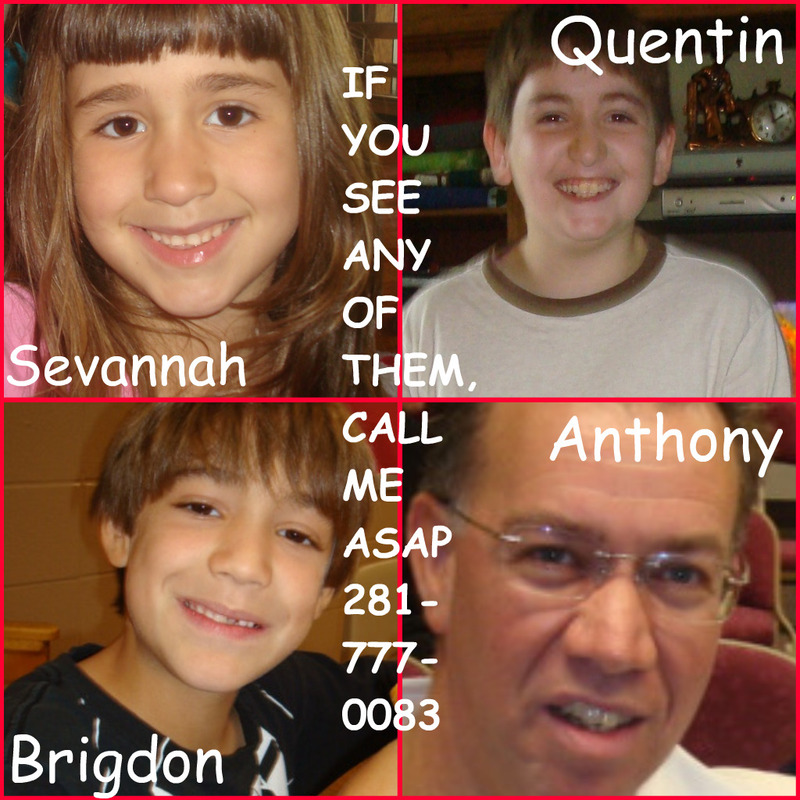 On Wednesday, June 2nd, my dad picked up my 3 youngest siblings from school early, and has not been seen since. He will not tell anyone where they are, and we need help finding them!!! If you see ANY of them, tell me ASAP!!! There IS an ongoing case with CPS against my dad, and we just need to find them. He has been court-ordered to stay away from my brother Tanner for something he did to him, and who knows what will happen next. It’s a big nightmare, and I’m asking for help here. So just keep a look out, PLEASE!